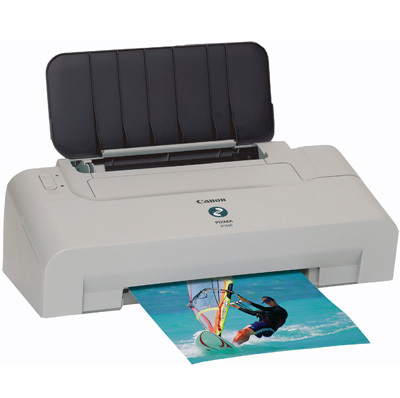 The Canon iP1600 Pixma printer can be tricky to use, are the premium brands suitable, please? Yes, our compatible Canon Pixma iP1600 ink cartridges are specially designed to fit the printer and are fitted with the correct chip so you can install them without any hassles. If you do encounter any problems using our compatible Canon iP1600 cartridges you can use our 30 day money back guarantee to get a full refund. The Canon Pixma iP1600 promises long-lasting and professional quality A4-size printouts and a user-friendly interface for basic document and photo-printing printing needs at home and in the office. It is an affordable and compact device, but for something claiming to be a good photo printer, the Pixma iP1600 lacks direct printing capabilities and good hardware configuration. The Canon iP1600 desktop printer is an affordable and simple device for students and families alike. Canon improved the print engine, giving it the 4-ink 2pl Micro-Nozzles with FINE cartridges. The paper capacity of the feeder is 100 sheets, but there is no paper output tray. The entire device weighs 2.9kg and is quite compact at 165mm tall, 249mm deep, and 435 wide. Overall text and graphics output from the iP1600 are reasonably okay and the speed is surprisingly fast for its kind. The Canon Pixma iP1600 is also praised for the Canon ChromaLlife100 system that promises long-lasting photographs. Some of the other perks of this device is the compact size and the very affordable price tag. The ink system of the Canon Pixma iP1600 has been improved; it now uses the 4-ink FINE cartridges, so printouts appear more vivid when printed in the high 4800x1200 dpi resolution. The printheads of the Canon Pixma iP1600 require manual alignment, which can be overwhelming and messy for amateur users. The absence of memory card slots and a PictBridge port defeats its purpose as a photo printer, too. Colour graphics and photographs appear under-saturated when the settings are not configured to best mode. You have to buy the USB cable and the output tray separately, which can be a hassle.